Remuneration Package: R 1 005 063.00 p.a. Overall management and control of the activities and staff of the component including the budget allocated thereto. Enquiries: Ms S. Ngubo, on tel. 033 355 8735/6. CLOSING DATE: 29 APRIL 2019 AT 16:00. Note to applicants: Persons who wish to make application for a post must obtain the full vacancy details which have been published on the Department’s website (www.kzntransport.gov.za). Shortlisting will be based on the full job requirements as indicated in the detailed vacancy advertisement on the website and that by making application for the position, an applicant acknowledges that he/ she has read and understood the full vacancy details. Applications received after closing date and time will not be considered. 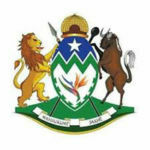 To apply for this job please visit www.kzntransport.gov.za.